Type of the connector that connects car harness to HID ballast? So I need to find the male and female connectors that connects car harness to HID ballast (see pic, empty socket at ballast). Anybody knows the right type or direct link where to buy those? I'm about to install relays between my ballast and car battery to get rid of annoying fault that causes my passenger side xenon to randomly switch ON when starting the car. And when it does switch ON, it is not as bright as drivers side. I've already replaced ballasts and bulbs (twice) and also changed them from side to side, did not solve the problem. Also first re-soldered the automatic driving light (don't remember the correct term..) relay and then also replaced it with new one, did not solve the problem. Checked all the connectors and cleaned them, no joy. So it must be the harness that causes some resistant, I think it is related to humidity. Well anyways, I don't want to rip all the harness apart, so it is easier to install relays and operate them with original HID supply voltage. Don't want to destroy original connectors nor harness either, so that's why I need to find some bulk connector that will fit. 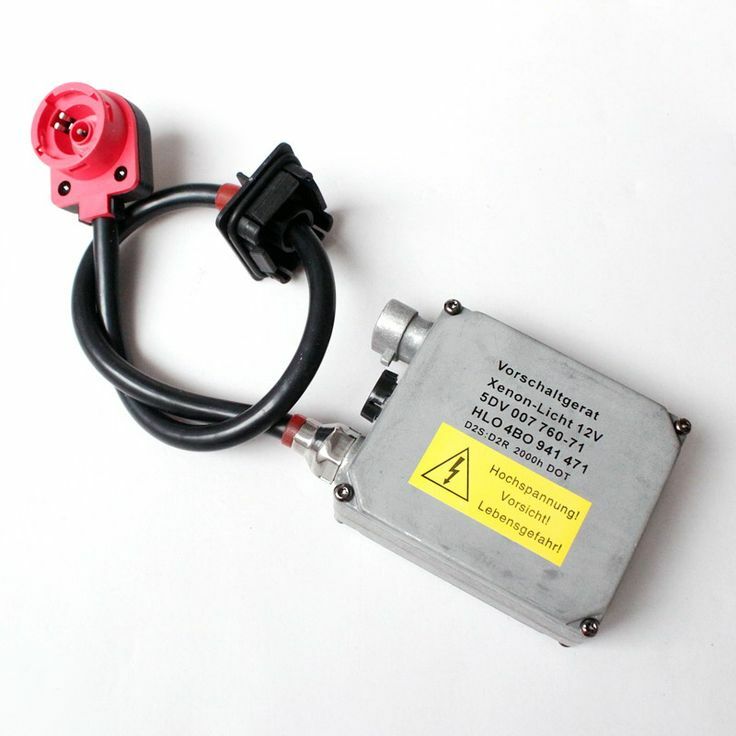 Re: Type of the connector that connects car harness to HID ballast? I haven't got any head light warnings when the problematic xenon have not light up. Anyway it is an easy and cheap thest IF I just could find right connectors so I don't need to destroy my original wirings/connectors.. Thanks, I'll check that switch! And thanks for links and help so far! You'll struggle with those terminals unless you have (or can borrow) the corresponding crimping tool with the correct jaw size for the wire and insulation. A good crimper might be pricey. A properly crimped terminal will be much more reliable than a soldered one. Perhaps you can buy something that's pre-assembled?